Which class of adventurer are you? Evil has returned! 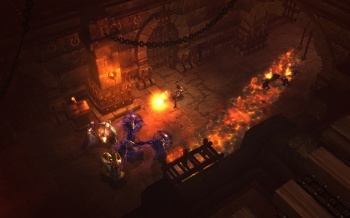 This week sees the launch of Diablo III, one of the most heavily anticipated games of the year. In honor of the occasion, we've put together a personality quiz featuring all five of the new classes Diablo III has to offer. Are you powerful and strong, like the Barbarian? Or perhaps you prefer wielding powerful magics, like the Wizard? Take the quiz and find out!